One of the most dangerous elements of modern workplaces is the large amount of electricity flowing through it at any given time. Everything from large machines to smaller tools use electricity, and a surprisingly small shock can cause significant injuries. In addition to the items that use the electricity themselves, there are also the wires and high voltage lines that run throughout the area. While electrical equipment typically works without any problems, they still represent a major danger that needs to be understood. When looking at electrical hazards, the biggest risk is that an arc flash will occur. 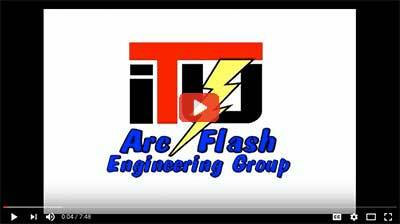 An arc flash occurs when there is an arc fault, which creates electrical discharge that travels from one area through the air toward either a ground or another destination. Electrical equipment is designed to contain the electricity within wiring, capacitors, batteries, and other safe areas until it is used. A well-maintained machine will minimize the risk of an arc flash occurring. There are many things, however, that can result in an arc flash. Understanding the most common causes of an arc flash can provide insight into how an arc flash can be prevented. Dust - Dusty areas can provide a path of low resistance for electricity to travel. When dust is thick in the air, the risk of an arc flash rises significantly. Making efforts to contain dust (including sawdust) is very important for electrical safety. Items Dropped - When working on an electrical system, someone may drop a tool or other item onto the equipment. This can create an alternate path for the electricity, which could result in an arc flash. This is especially dangerous if the tool could puncture, cut, or otherwise damage high voltage wiring. Humans Coming into Contact with Equipment - When performing cleaning, maintenance, repairs, or other tasks, it is important to ensure nobody comes in contact with electrical wires or other components. Condensation - When there is a lot of humidity in the air, condensation can form on and around electrical equipment. Water can conduct electricity, which can create a path of low resistance, resulting in an arc flash. Water Leaks - Similar to the condensation issue, if water is leaking from a pipe above an electrical machine, it can cause an arc flash. Corrosion - Corrosion on wires or other parts of a machine can lead to an arc flash because it may cause an opening in the protective coverings that keep electricity contained. Material Failure - If wires are moved, bent, stepped on, or otherwise adjusted, it can cause them to break. This can allow the electricity to escape in an arc flash. Faulty Installation - When electrical equipment is installed improperly, there is an elevated risk of a wide range of problems, including an arc flash. When people think about injuries caused by an arc flash, they often assume electrocution is the only risk. While electrocution is certainly a main hazard, it is really just the beginning of potential problems. The following are some of the other ways an arc flash can injure people in the area. Burns - Even if the arc flash does not come in direct contact with a person, it can still burn them. The temperature of an arc flash can reach 35,000 degrees Fahrenheit, which can cause severe burns very quickly. Fire - Whatever the arc flash comes in contact with is at risk of catching on fire. If there are any flammable items in the area, they should be removed. Projectiles - The arc flash can create a lot of pressure, which can project objects through the air. Things like molten metal and parts of machines can become very dangerous projectiles. Blast Pressure - The pressure from the blast can reach as much as 2000 pounds per square foot. This can throw people through the air. It is also what causes the projectiles mentioned above. Auditory Damage - Arc flashes are very loud. In fact, they can reach 140 dB in some cases. This is about the same level of sound as a gun being shot. Since it occurs so quickly, it can cause severe damage to the hearing of those in the area. There are many ways an arc flash can cause injuries to people and the surrounding facility. The severity of an injury will depend on a number of factors. Understanding how dangerous a situation is can help facilities and employees prepare properly when entering an area where an arc flash is possible. Electrical Current - The strength of the electricity that creates the arc flash will have a significant impact on the potential for injury. The higher the current, the more risk there will be. Proximity - The closer someone is to the actual arc flash, the more danger they are in. This is why it is important to keep people who are not trained and prepared for working with electrical equipment away from any area where there is a potential for an arc flash. Length - An arc flash will typically continue until the circuit is broken. When the circuit breakers are working properly, this will only take a fraction of a second. Even small increases in the length of an arc flash, however, can cause an increase in the potential for injury. Temperature - The temperature of the arc flash can also cause a higher risk for burns and other injuries. Surroundings - The objects that happen to be in the area where an arc flash occurs can be a key indicator of how much potential for injury there may be. If an arc flash occurs around a storage room, those objects could be projected throughout the area, causing major injury. Impact Area - The location on the body that an arc flash hits also impacts the potential injury. While the electricity itself can pass through the body from any entry point, the locations where it enters and exits the body are susceptible to more severe burns. 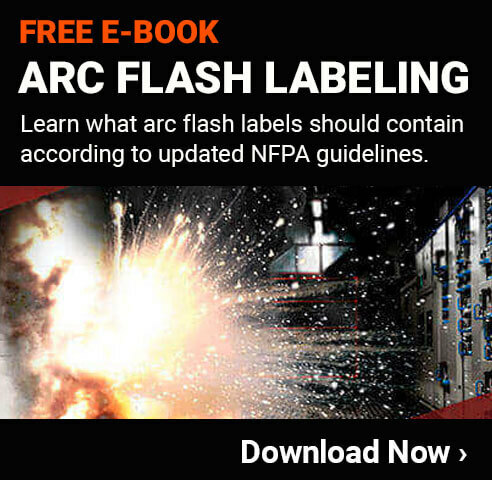 In addition to following best practices for arc flash safety, there are also a number of governmental regulations that need to be followed. OSHA is the main agency that provides these types of regulations. It is important for all facilities to be familiar with all OSHA regulations that impact arc flash and electrical safety. Not being in compliance with these types of regulations can result in fines and other penalties. Most companies also understand that being outside of compliance with OSHA regulations means their employees and facility are not as safe as they otherwise would be. The OSHA regulations are specifically for companies physically located in the United States, but any company can benefit from them. Most other countries have regulations in place that are quite similar to those from OSHA. While arc flashes are the most deadly electrical hazard, there are many other risks associated with working near electrical systems. Even working with lower voltage equipment puts people at risk of serious injuries if they are not careful. Implementing electrical safety standards in a facility is an important way to keep employees safe and minimize the risk of damage to the facility. A general electrical safety policy should be separate (though related) to an arc flash safety policy because they each require a different approach. Teaching employees how to work with electrical equipment in a safe way can help reduce the risk of shock or electrocution. Even employees who don't directly work on large electrical equipment can benefit from at least some basic safety standards. When working with an electric hand tool, for example, it is important to avoid working near water. There are many other electrical safety training programs to provide employees to keep them safe. Awareness is one of the best ways to keep people safe when working near electrical equipment. If there is a high voltage machine, putting up safety signs alerting people to its presence can be very helpful. In areas with restricted access due to the dangers, it is a good idea to use floor marking tape or other visual markings to remind people they can't proceed into the area without proper approval, training, and equipment. Using visual communication strategies is an effective way to improve the safety of any facility. It is important, however, to make sure the visual communication strategy is well planned out and fits in with the other visual communication efforts. One thing that people need to stay safe from electricity (arc flash or not) is personal protective equipment. Any employee who works with electrical equipment should be required to wear the proper PPE. The specific type of PPE needed will depend on a number of factors including the risk of injury, the voltage levels of the electricity, and the proximity to the danger. In some cases, it is sufficient to simply wear non-conductive gloves. In areas where there is a higher level of danger, it may be a good idea to wear a full-body suit, leather shoes, eye protection, and more. Learning about the different types of personal protective equipment for electrical safety is an important part of all safety programs in facilities where electrical equipment is in use. Having personal protective equipment available to the employees is a great start. In addition to having it available, employers are required to make it mandatory that employees use it properly in many situations. Regulations from OSHA and other agencies can help employers understand when electrical PPE is required and what type of PPE is needed in a given situation. Once a facility has this gear in place, it needs to be kept in an area where it is protected, but also easy to access. If an arc flash or other type of electrocution event occurs, people are often tempted to rush into the area to provide help to the victim. This can actually lead to additional people getting injured. Rather than rushing in to assist, it is better to wait and confirm that the electricity has been cut so there is no further risk of additional injuries. Things like personal protective equipment and keeping machines in good working order will go a long way toward keeping a facility safe from electrical hazards. Since so many people work with and around electrical equipment, however, it is also important to provide all employees with the level of training they require for their jobs. Electricians will need extensive training to properly and safely work with this type of equipment. Fortunately, most electricians come into the position with the knowledge and experience they need. General maintenance personnel will also be working closely with electrical equipment, but they may not have the in-depth training an electrician has achieved. Employers should always provide this type of employee with detailed training so they know how to properly do their jobs without exposing themselves and other employees to elevated risk. Other employees who typically don't have any direct exposure to electrical equipment should still get at least a base level of training so they know how to respond in emergency situations. There are many resources for either online or in-person electrical safety training available to provide to employees.